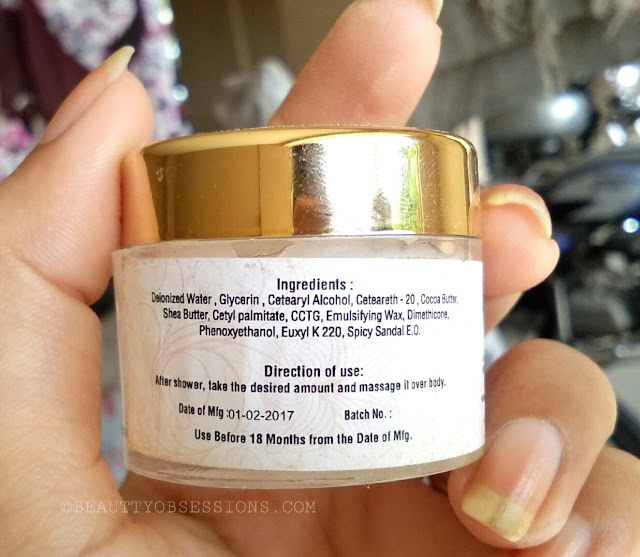 Today I am going to share my opinion on Tatha Body Butter spicy sandal. The name itself is so tempting, isn't it? Th ed brand is new to me though I have a face scrub from the same brand but I am yet to try out that. I am using this body butter since couple of days now. It is summer and my skin is not behaving dry . But recently during my holiday, my skin has become a little weird because as use of the climate change I guess, hence I started using this one. I got this cute little bottle in one of the subscription boxes. 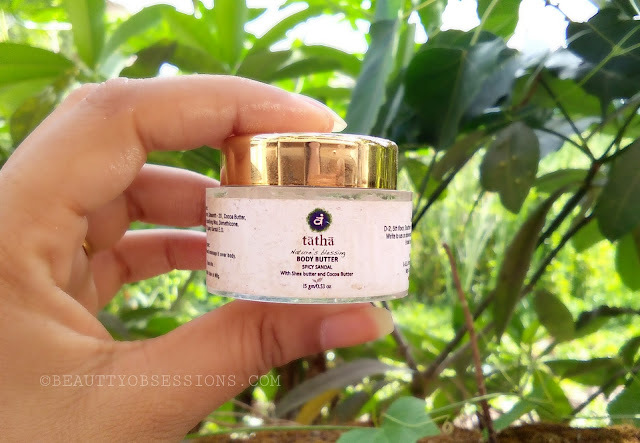 Tatha is an ayurvedic brand which products are preservative and chemicals free . They have 100% pure and authentic products. Tatha has wide range of personal care, cosmetics and natural wellness products for healthy living. 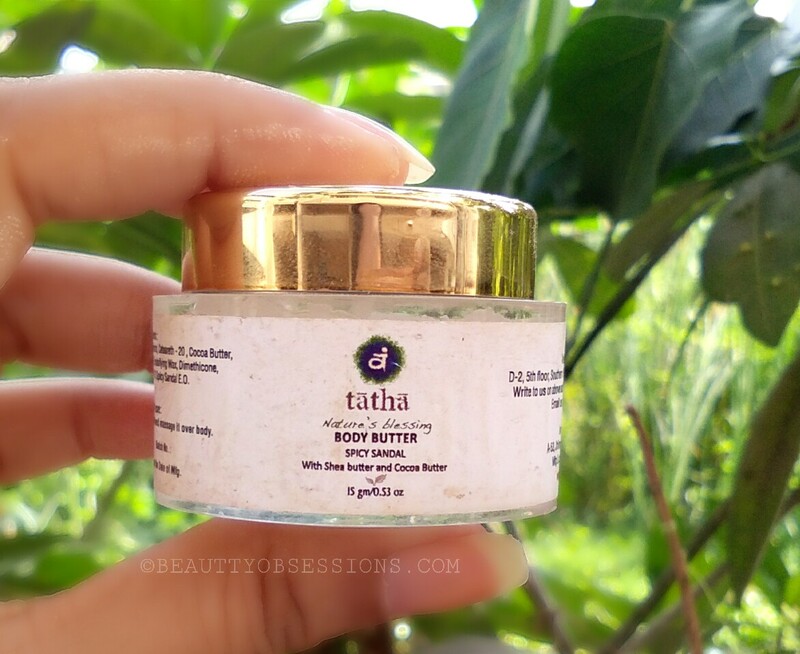 Let's know more about the body butter by Tatha . Price - Rs 1250/- for 300gm.
" Tatha body butter Spicy Sandal enriched with goodness of shea butter and cocoa butter to give a lusty and satiny finish skin. " 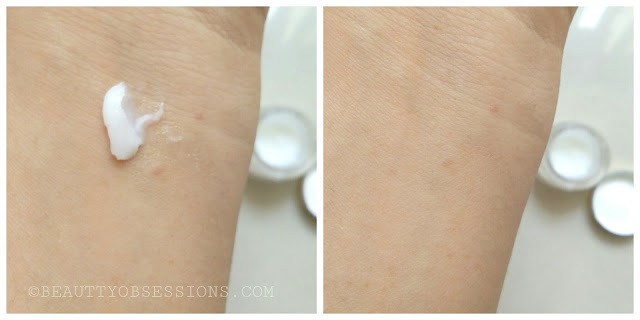 Packaging - The body butter I own is a deluxe sample size bottle which I received in some subscription boxes. I love the cute looking glass bottle though it is not heigenic to use at all. The bottle is a very good option to carry during travelling. There are some information regarding the product on the tub itself . The golden mettalic cap makes it look luxurious. My Experience - I am using this since couple of days now after taking shower. I know this is a very small quantity size bottle and will not last if I will use twice a day. But I must say the body butter is really rich in texture and in look as well. The body butter smells amazing. It has very smooth and silky texture. The consistency is thick but it is really creamy. It spreads on skin like butter and takes a little time to absorb completely into skin. As it has Shea butter and Cocoa butter , no need to say how moisturised it is on skin . It leaves no greasiness or stickiness behind which is my main concern for summer. It feels really light weight on skin after absorbing. It keeps moisturised my skin all day long and I love the smooth feeling in my skin. It really do charm on the dry areas of my skin like elbow, under the feet, etc. I too use this as a nail cream to moisturise my nail cuticles. Overall I love this body butter by Tatha .The full size is a bit expensive side but worth try I guess. This winter I am going to buy the full size one for sure. 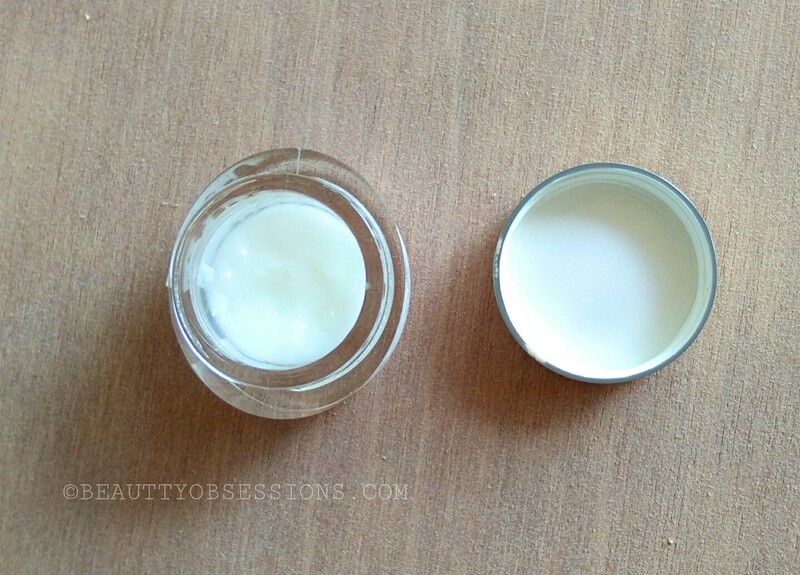 4 - Keeps my skin moisturised for all day long. Hope you found this post helpful. See you in another exciting topic ,till then take care ❤ . I love to use boddy butter. You have shared a detailed review but its a bit pricey I think. Still, I will try. Thank you for a detailed review. Really helpful. Good to know that it isn't greast. Hmm...sounds tempting. Shea and cocoa combination never fails me . Thanks for the detailed review. I think I'll try this out! Spicy Sandal sounds decadent!..I so totally want to smell it now!!! Sounds good to me. I hope to get my hands on this soon. Sounds a great body butter for summers as it doesn't increases greasiness, but I found it quite costly. Never heard if this before but looks good. Natural products are always better. Great one for summers I will sure give a try !! Thank you bringing this honest review to us. Will surely look out for the product on my next shopping trip.